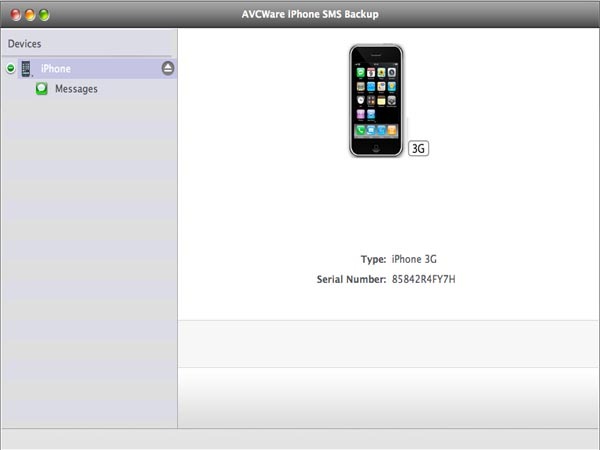 Introduce an all-in-one iPhone management tool AVCWare iPhone SMS Backup for Mac by which you are able to transfer all your iPhone SMS and iMessage from your iPhone to Mac in fastest speed. Experience complete security and safety, and all the while manage your contacts SMS, iMessage with supreme ease with an incredibly neat and easy to use interface. Don't hesitate, try 4Media iPhone SMS Backup for Mac for yourself today and experience something new in SMS management! Handy software to help you manage iPhone messages in simplest operation: High compatibility with all iPhone models like iPhone 4, iPhone 4S, CDMA iPhone 4, iPhone 5, iPhone 5s, iPhone 5c for SMS messages and iMessage, and iPad Wi-Fi, iPad Wi-Fi+3G, iPad, iPad2, New iPad, iPad Air, iPad mini, iPad mini with Retina display, iPod touch 4 for iMessage. Transfer all your iPhone SMS, iMessage and iPod and iPad iMessage to Mac. Manage your iPhone SMS on your computer screen, enter the name of the contact or directly enter the phone number or even enter the content of the message to fully browse the message you are looking for. Manage several iOS Devices simultaneously without conflicting one another's files. Provide the information of your device, such as name, model and etc for your reference. Supports English, French, Spanish, German, Italian, Japanese and Chinese Simplified and Traditional interfaces.